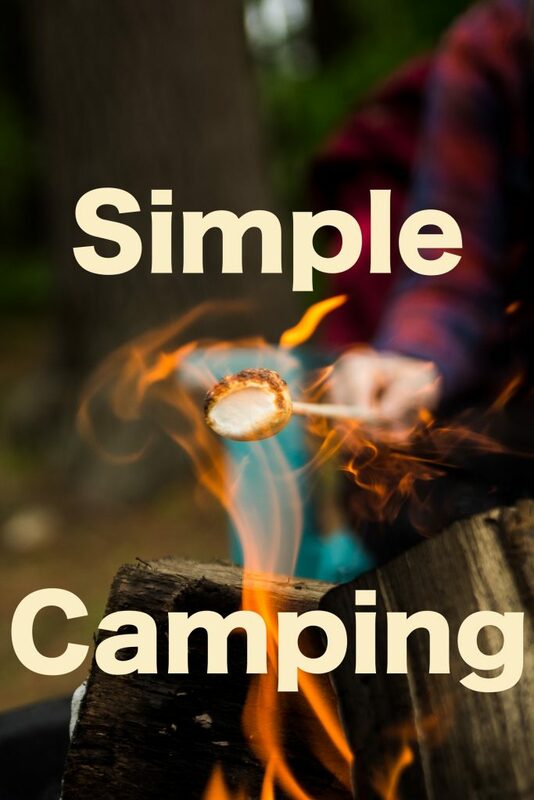 The www.camp-cook.com forum is having another cook off competition: Chili & Cornbread. 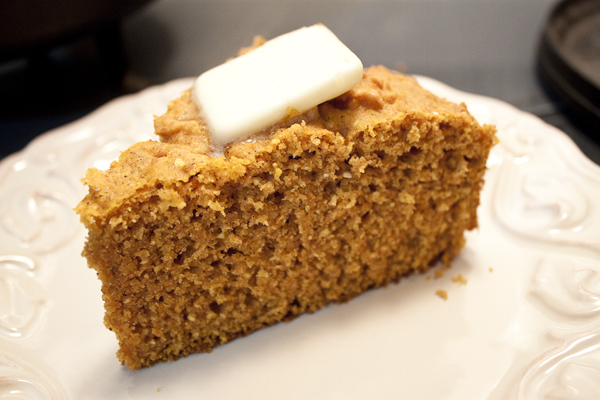 I entered my Chili recipe last weekend (see it here) and this weekend is my cornbread recipe. 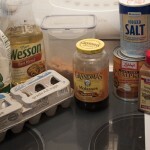 For this recipe, I followed the tastes of Senior Management. She likes all things Pumpkin. Having found a pumpkin Cornbread recipe at Real Mom Kitchen I decided to adapt the recipe for a 10″ Dutch Oven to be cooked over coals. This is my new favorite cornbread. Contrary to what you may think, it doesn’t taste like desert at all. But the pumpkin adds moisture to the cornbread so that it doesn’t turn your mouth into a desert (which is why I usually don’t like cornbread at all). 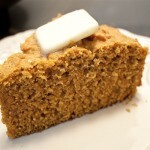 So here is my version of Real Mom Kitchen’s version of pumpkin Cornbread. 1. Preheat dutch oven with a ring of about 17 briquettes around the outside of the bottom of the DO. 2. Sift flour, baking powder, salt and spices in a large mixing bowl. 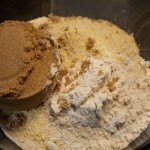 Whisk in cornmeal. 4. Make a well in the dry mixture. 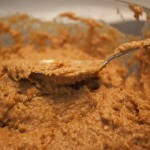 Add pumpkin mixture and blend batter with a few quick strokes. 5. 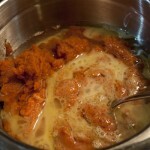 Pour a thin pool of vegetable oil on the bottom of the DO. When the batter hits this, it will fry it quickly and make a nice crust. 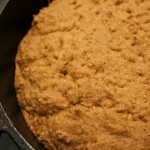 Plus, you can easily get the cornbread out of the DO when it is done. 6. Pour batter into the DO. 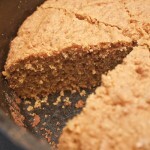 Bake -with the lid on – for 30 minutes, or until cornbread is browned and the surface has a slightly springy feel. Put an additional 15 briquettes on the lid of the DO to brown the top. You could eat this cornbread with jam, jellies, cheese, or just butter and honey. They are great.